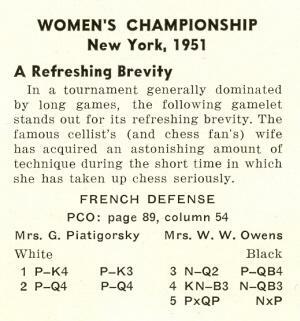 Larry Crawford (Milford, CT, USA) draws attention to the above photograph on page 227 of the August 1955 Chess Review and two near-identical shots which have appeared on websites (ChessBase and the Chess Café). 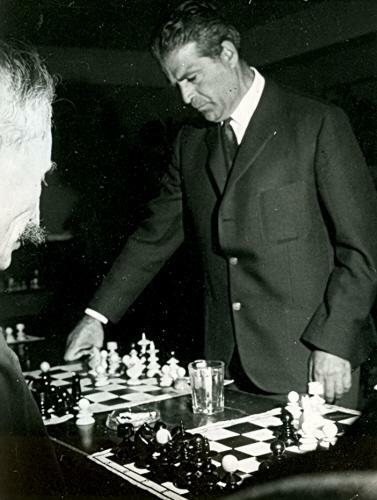 Hassan Roger Sadeghi (Lausanne, Switzerland) mentions that in a tribute on page 5 of his book Comment jouer les fins de parties aux échecs (Lille, 1952) Znosko-Borovsky remarked that the late Gaston Legrain had undertaken the French versions of four of his books. The title page of that volume did not refer to a translation but stated ‘Version française par Gaston Legrain’. The significance of this pairing table is explained in our new feature article Chess and the Wallace Murder Case. Rod Edwards (Victoria, BC, Canada) asks about two nineteenth-century Dutch players. Firstly, he quotes to us various sources which refer to ‘B.W. 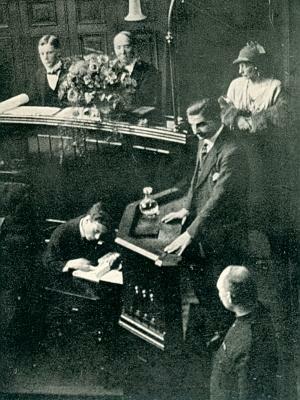 Blijdenstein’ and ‘W.J. Blijdensteijn’ in connection with the Amsterdam, 1851 tournament, while the following have been found regarding The Hague, 1873: ‘Blijdenstein’, ‘Blydenstein’, ‘B.W. Blijdensteijn’, ‘B.W. Blijdenstein’ and ‘A.H. 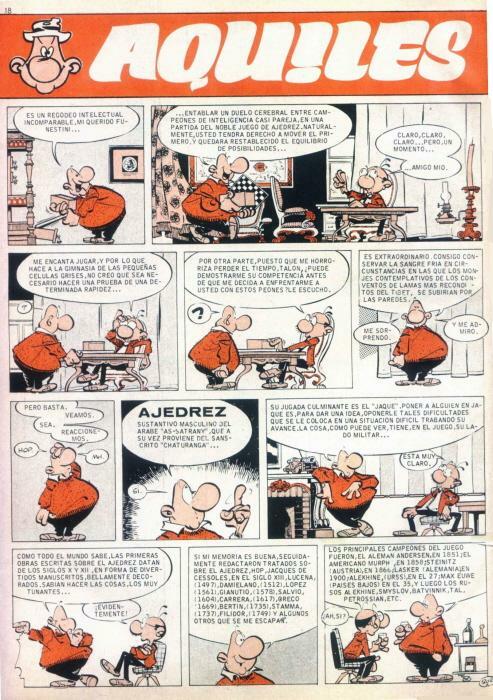 van Blijdenstein’. A similarly-named player also participated in Amsterdam, 1874. 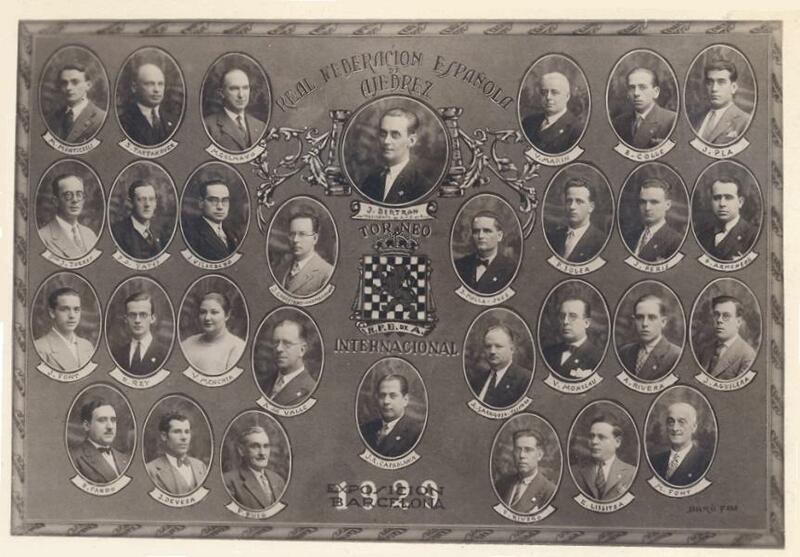 Our correspondent notes that Jeremy Gaige’s Chess Personalia lists only A.H. van Blijdenstein (died in Rotterdam on 20 March 1920) and that there exists a book Benjamin Willem Blijdenstein (1780-1857) Damauteur en damproblemist by K.W. Kruijswijk (Rosmalen, 1988). With regard to Amsterdam, 1851, Mr Edwards also cites references to ‘C. Naret Oliphant’ and ‘C. Narest Oliphant’ (died 1867, aged 88), as well as ‘H.W. Oliphant’ (died 1882, age 61). In relation to the former, he points out that the Perthshire Heritage site mentions ‘Carel Naret Oliphant’ (born on 19 February 1781 and died in 1868). Can any readers help clarify the identity of these players? Further to our feature article Napoleon Bonaparte and Chess, Colin Rose (Sydney, Australia) draws attention to his webpage Chess on Stamps, which discusses a picture of Napoleon used on a Paraguayan stamp. 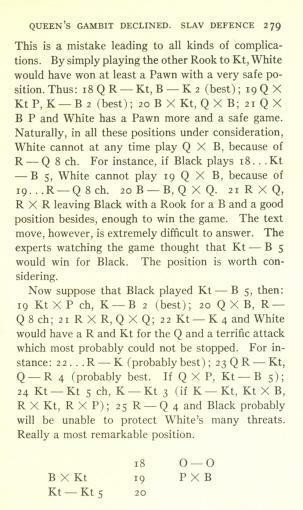 Alekhine’s tournament book (page 95) gave White’s 18th move as Rfe1. Our correspondent believes that Capablanca played 18 Rae1 because otherwise, as Kenneth Frey Beckman has pointed out, the game continuation 18...e6 19 Re3 Rb8 20 Qxa7 would have allowed Black to win the exchange with 20...Nc2. Yet Tylor played 20...Rd8, and Alekhine made no comment. We have copies of Capablanca’s score-sheets of 11 of his games at Nottingham, but unfortunately not the Tylor one. 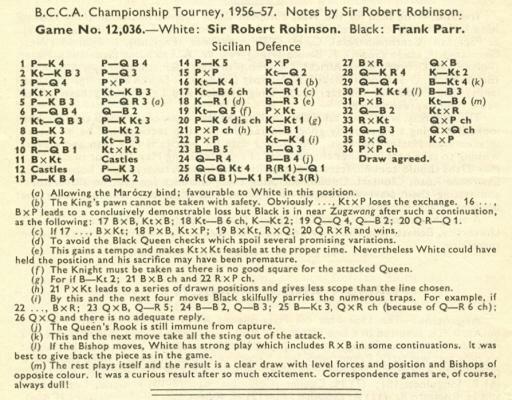 However, contemporary publications support Mr López’s belief that it was the queen’s rook that Capablanca moved to e1; for example, the October 1936 BCM (page 505), Chess Review, September 1936 (page 204) and Hans Kmoch’s tournament book (page 26). Albert Frank (Brussels) asks if precise facts are available about the Maróczy v Korchnoi ‘spiritualist story’. We touched on it in C.N. 5162 (regarding a sideline: the spellings Romi/Romih), but does any reader know where the essentials of the affair have been set out, plainly and factually? 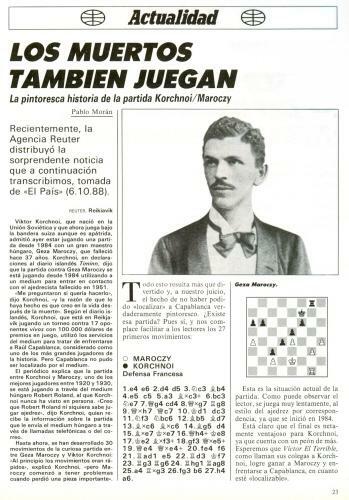 And when did any mention of Maróczy v Korchnoi first appear in print? C.N. 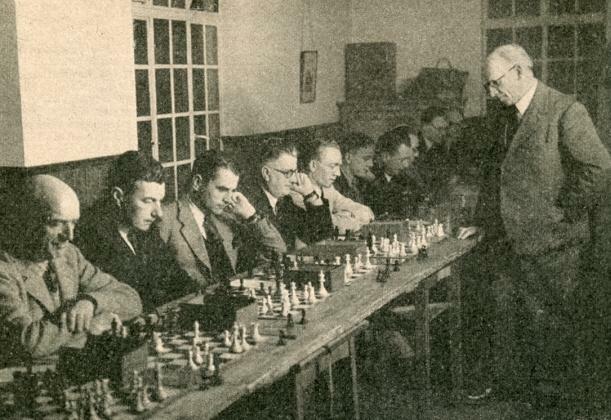 5402 asked the identity of this chessplayer, an opponent of Adolf Anderssen. A clue provided was the date of the photograph: 1950. Further information about Esling is provided on pages 334-336 of the August 1895 BCM. ‘12. Spätestens eine Stunde nach Beendigung der Partien haben beide Spieler dem Turnierleiter oder dessen Stellvertreter eine richtige und lesbare Partieaufzeichnung abzuliefern. Source: Programmheft des I. Internationalen Schachmeisterturniers Meran 1924, page 14. 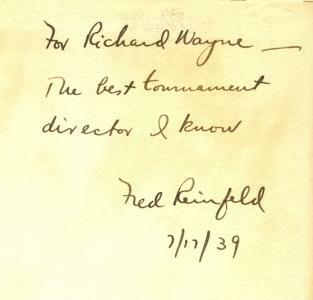 The note appears on page 232 of the English edition. 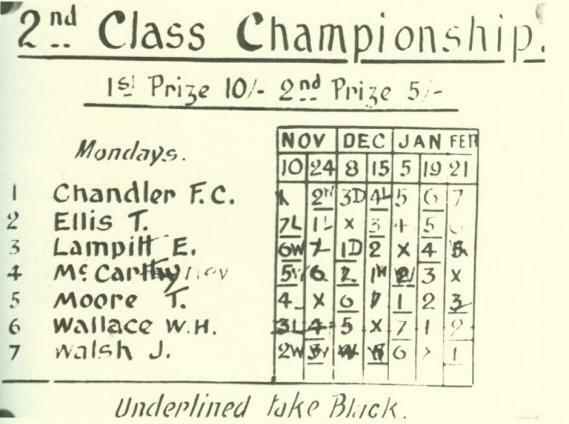 The Meran tournament in question took place in February 1924, and our correspondent is therefore seeking occurrences of a term such as ‘Meran Variation’ between that time and the appearance of the New York tournament book approximately one year later. 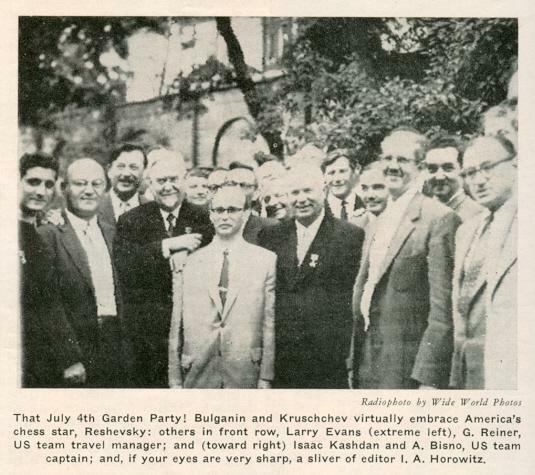 The plates section features both of them in a group photograph (‘Russian writers in exile in Berlin, September 1923’). 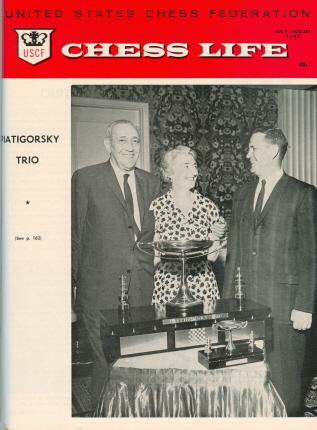 Can readers find any further information about their interest in chess? ‘Benjamin Willem Blijdenstein (1780-1857) was the founder of Blijdenstein & Co, a textile company in eastern Holland (Enschede). 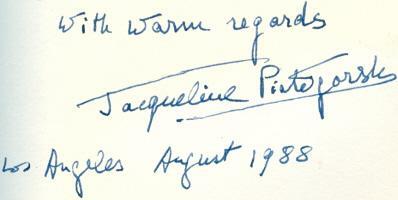 For clarity he is described in this note as “the first”. 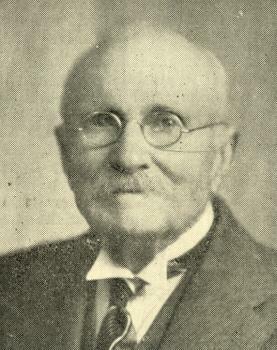 One of his 14 children was Benjamin Willem Blijdenstein (born in Enschede on 18 February 1811 and died on 21 May 1866). 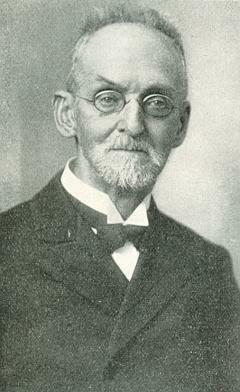 He (“the second”) married in 1836, and one of his three children was also named Benjamin Willem Blijdenstein (“the third”). 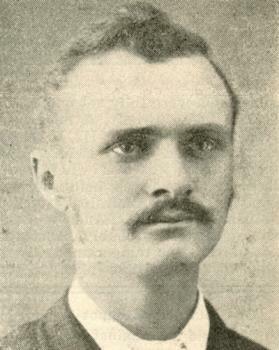 His dates were 1839-1914. 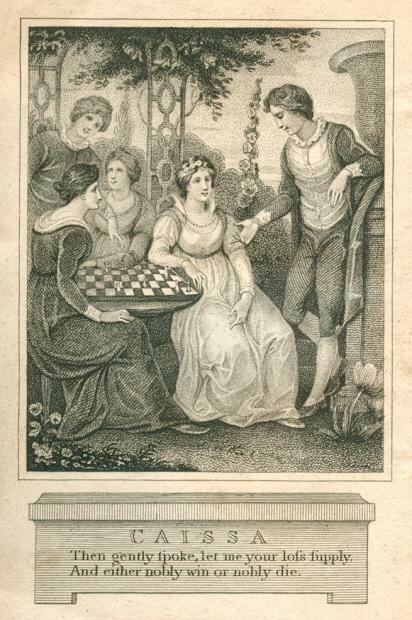 “The first” is known as the writer of several books on draughts, and the family had a considerable interest in both chess and draughts. The B.W. Blijdenstein who was one of the prize-winners at Amsterdam, 1851 is unlikely to have been “the first” because he had severe health problems in his final years. A player named B.W. Blijdenstein also participated in The Hague, 1873 (he was the joint winner with Gifford) and Amsterdam, 1874. From the birth and death dates it would seem that “the second” played at Amsterdam, 1851 and “the third” in the 1870s tournaments. A.H. van Blijdenstein, who died in 1920 and is mentioned in Gaige’s Chess Personalia, is not related. 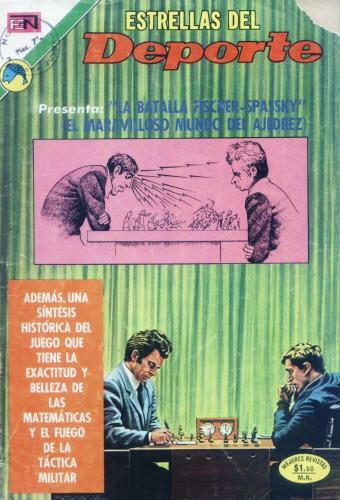 Alejandro Pablo Souto (Buenos Aires) reports that the Maróczy v Korchnoi ‘spiritualist’ game was the subject of a feature on page 23 of the November 1988 Revista Internacional de Ajedrez. 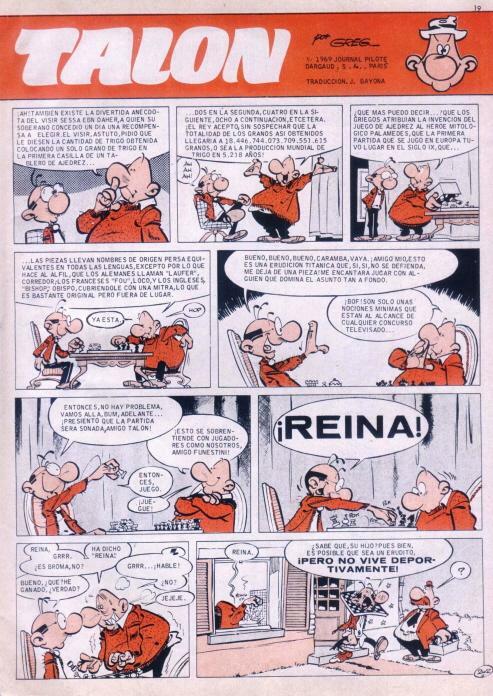 It quoted a Reuters dispatch from Reykjavik which had appeared in El País of 6 October 1988 and included a report on statements allegedly made by Korchnoi to the Icelandic daily newspaper Tíminn. 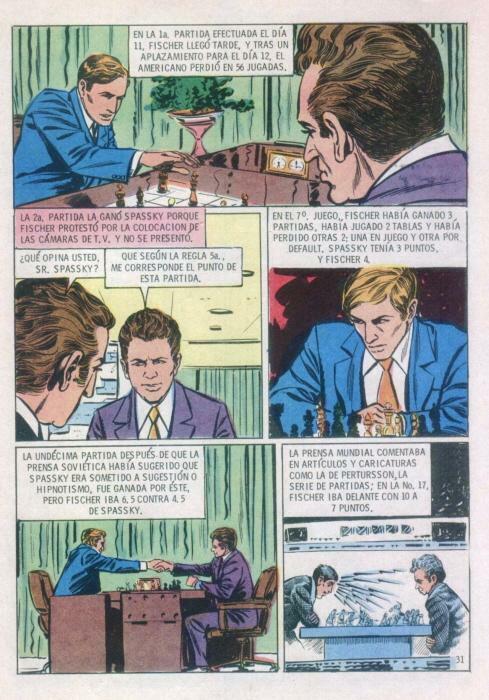 On the same page of the Revista Pablo Morán made a few light comments and gave the game-score up to Black’s 27th move. The longest account of the affair that we have found so far is entitled ‘A New Meaning for “Soul Mate”’. Our correspondent asks on what grounds it is suggested that the player who finished 11th in the 1931 tournament in Brünn (Brno) was Johann Berger (1845-1933). We see no grounds for linking Johann Berger to the tournament, although he was named as the participant on page 248 of Hundert Jahre Schachturniere by P. Feenstra Kuiper (Amsterdam, 1964). A contemporary source such as page 142 of the August-September 1931 Československý Šach (which gave the tournament crosstable) put ‘Ing. Berger’, and page 253 of the August 1931 Wiener Schachzeitung gave ‘Ing. Berger (Prag)’. Pete Tamburro (Morristown, NJ, USA) reverts to Alfred Kreymborg’s article ‘Chess Reclaims a Devotee’, which was reproduced on pages 6-18 of The Fireside Book of Chess by I. Chernev and F. Reinfeld (New York, 1949) and has been discussed in various C.N. items (see the Factfinder). We note that the passage was included by Edwin Valentine Mitchell in his anthology The Art of Chess Playing (New York, 1936). See pages 20-21. 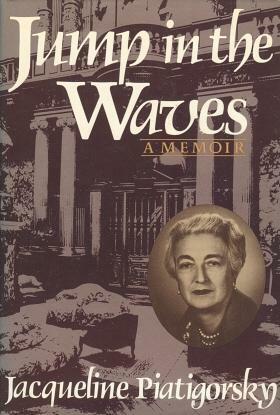 A biographical note on Richard Wayne would be welcomed. 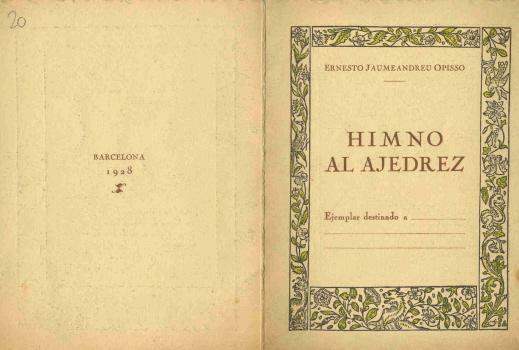 Miquel Artigas (Sabadell, Spain) draws attention to Himno al ajedrez, by Ernesto Jaumeandreu Opisso (Barcelona, 1928). ‘All the commentators – added Capablanca – had agreed on one assumption: that I should lose by means of the following continuation: 18...Nc4 (in the game Euwe played 18...O-O) 19 Qxb4 Rd1+ 20 Rxd1 (If 20 Bf1 Qxb4, followed by 21...Rxa1 and 22...Bh3.) 20...Qxb4 and Black would win. The main variation, according to Capablanca, would be 19...Kf7 (if 19...gxf6 then 20 Qxf6, attacking the bishop and the king’s rook and winning rather easily, and if instead 19...Ke7 then 20 Qxb4 with check) 20 Qxb4 Rd1+ 21 Rxd1 Qxb4 22 Ne4! 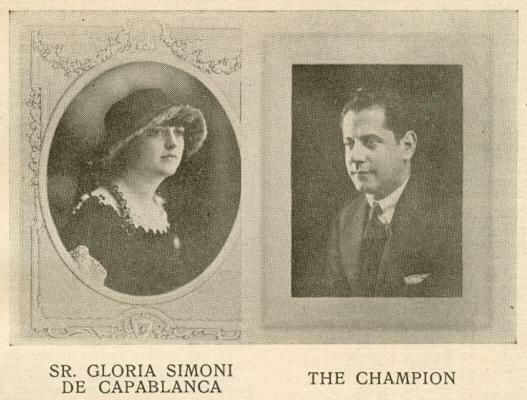 and – still according to Capablanca – White should win despite the queen sacrifice. 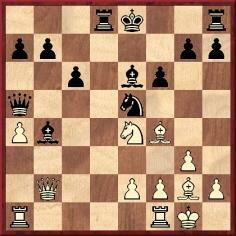 Black has many weak points, and the threats Rab1 and Ng5+ are difficult to neutralize. 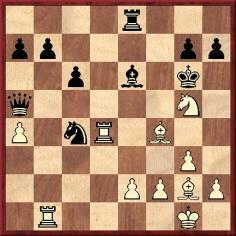 If, for instance, 22...h6, there would follow 23 Rab1 Qe7 (To protect the b-pawn.) 24 Bd6! 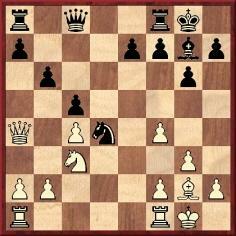 Qd7 25 Nc5, followed by 26 Rxb7+, with gradual, decisive pressure. 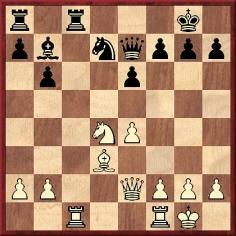 Capablanca showed many variations to prove that after 22 Ne4!! it is only White who has winning chances. 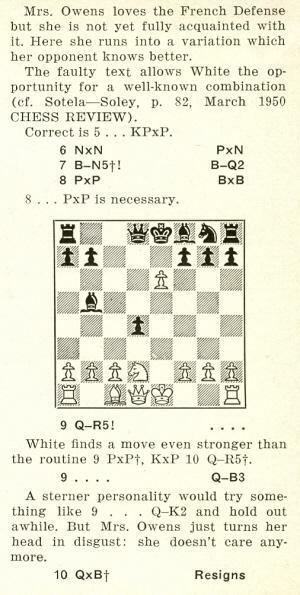 On page 213 of Capablanca’s Hundred Best Games of Chess (London, 1947) Harry Golombek gave the line ‘18...Nc4! and now if 19 Nxf6+ Kf7! 20 Qxb4 Rd1+ 21 Rxd1 Qxb4 22 Ne4 h6 23 Rab1 Qe7 24 Nd6+ Nxd6 25 Bxd6 Qd7 26 Be5 Qc8 and Black, having weathered the storm, should win easily enough’, without mentioning Capablanca or any other previous annotator. On page 237 of the algebraic edition (London, 1996) John Nunn added a footnote: ‘White can improve by 24 Bd6! 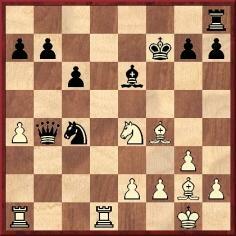 winning the b7-pawn, after which White has a clear advantage. A more accurate 22nd move (possibly 22...Kg6) might give Black an edge, but he is certainly far from winning.’ It should be recalled that 24 Bd6! was given by Capablanca during his lecture. 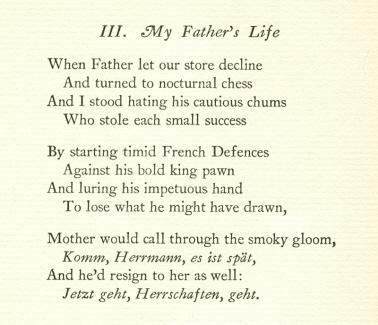 Beyond the above analytical complexities – and see too page 37 of Schachmeister wie sie kämpfen und siegen by Alfred Brinckmann (Leipzig, 1932) – we should welcome clarification of Znosko-Borovsky’s involvement: where exactly did he criticize Capablanca’s play against Euwe at the time? We can find no book of his that would fit the bill, so was ‘book’ an error for ‘article’? Who is the player giving this simultaneous exhibition? 17...Ne5 18 Rfd1 g6 19 f3 Kh8 20 Kh1 Kg8 21 Kg1 Kh8 22 Kh1 Kg8 Drawn. 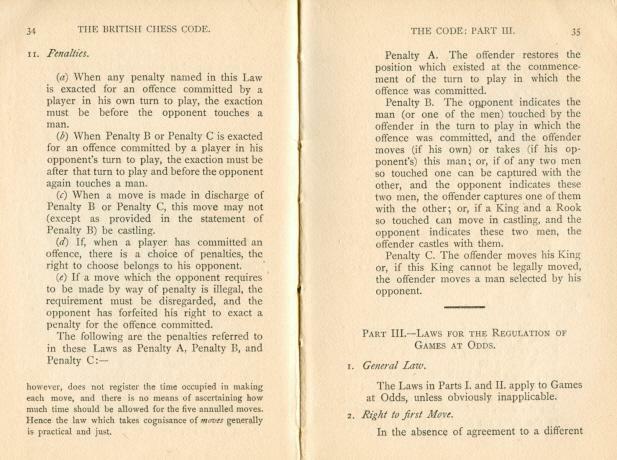 The Skinner/Verhoeven volume reproduced the game, faithfully, from pages 147-148 of the Hamburg, 1910 tournament book, but we wonder whether Black’s 17th move was 17...Nc5 rather than 17...Ne5, as the remainder of the game would then make more sense. 17...Nc5 was, in fact, the move given on page 122 of Alexander Alekhine I Games 1902-1922 (Sofia, 2002), but we have yet to find this short draw in any contemporary source other than the tournament book. 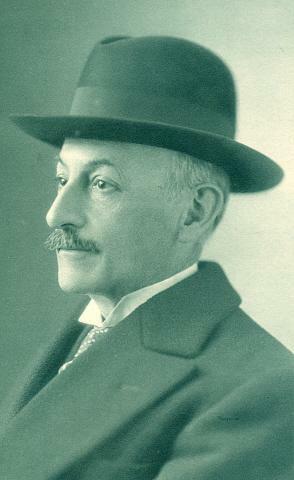 Our latest feature article, The Horowitz-Wellmuth Affair, concerns a mystery which may prove easier to solve if some biographical information about Francis J. Wellmuth can be found. At present we do not even know when and where he died. 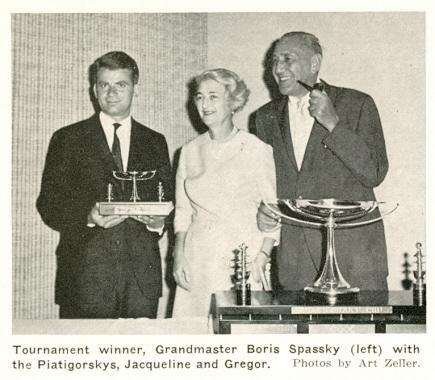 ‘I remember watching a chess grand master play in a tournament. He was allergic to smoke. When his opponent pulled from his pocket a big cigar and laid it on the table beside him, the grand master looked at the cigar. He kept staring at it. He was so upset he could not concentrate on his game. Finally he called the referee. His opponent smiled. “I am not smoking”, he said. 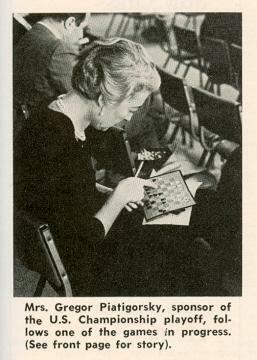 Pages 166-170: A chapter entitled ‘Chess Promotion’ describes her programme for teaching chess to disadvantaged children in Los Angeles and the organization of the two Piatigorsky Cup tournaments, in 1963 and 1966. 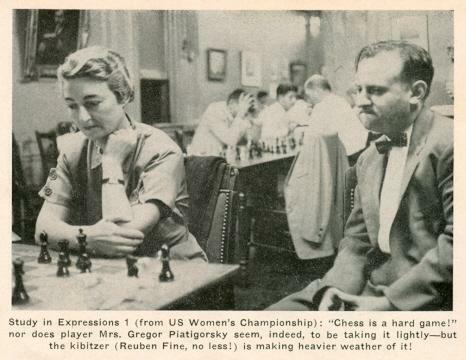 She explains how she held out against the views of many, including her husband, and refused to accept Fischer’s financial demands for the first tournament. 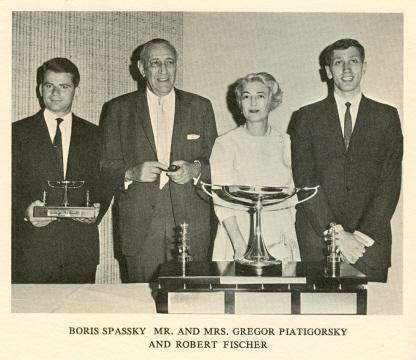 ‘Three years later, in the Second Piatigorsky Cup, Fischer played under the same conditions as everyone else. 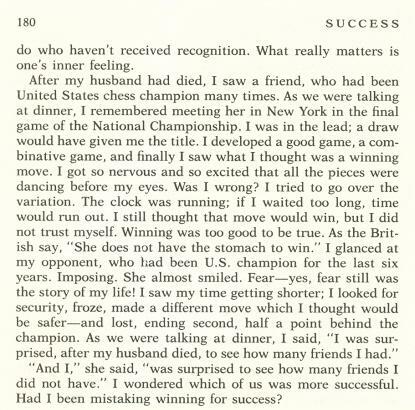 I think I was the first person ever to stand up to him.’ She also claims to have invented, for the 1963 tournament, ‘a new system with overhead projectors and electric clocks so the public could not only follow the games comfortably, but also the time control’. 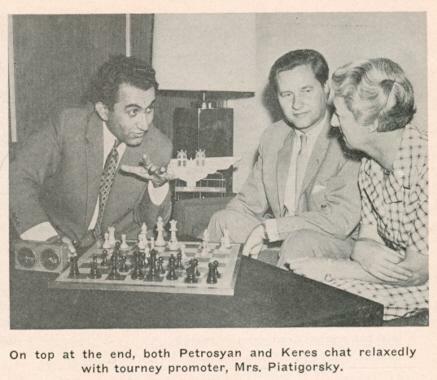 Concerning the 1966 event, she relates the difficulties in securing the participation of Soviet players, and the chapter ends with an account of her involvement in the planned match between Kasparov and Korchnoi in Pasadena in 1983. Leonard Barden (London) notes a victory by Jacqueline Piatigorsky against Merete Haahr at Emmen, 12 September 1957, as given at the OlimpBase website. 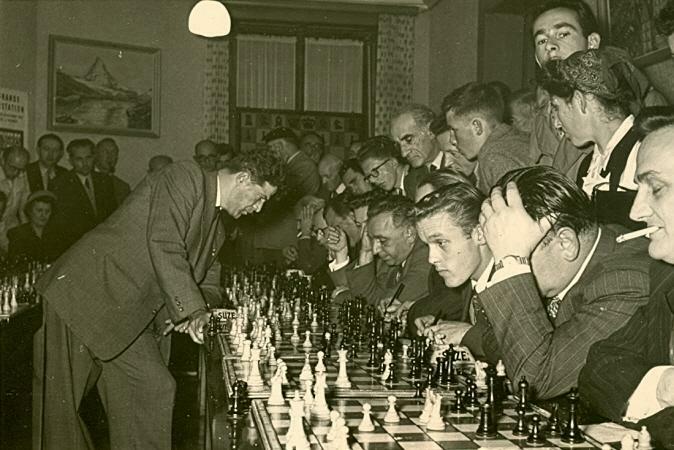 In reality, the play as far as 9 Qh5 had already been seen, with a transposition of moves, in a game won by Alekhine against Sánchez in Bogotá in March 1939. 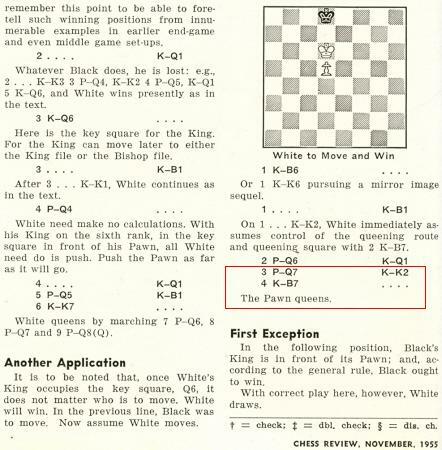 It was published on page 35 of the March-April 1939 American Chess Bulletin and, with notes by Tartakower, on pages 410-412 of the September 1939 BCM. 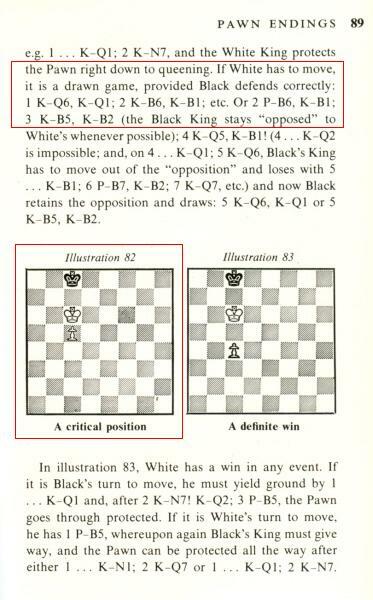 Alekhine mentioned the opening on page 128 of his book Gran Ajedrez (Madrid, 1947); see also page 64 of 107 Great Chess Battles (Oxford, 1980). 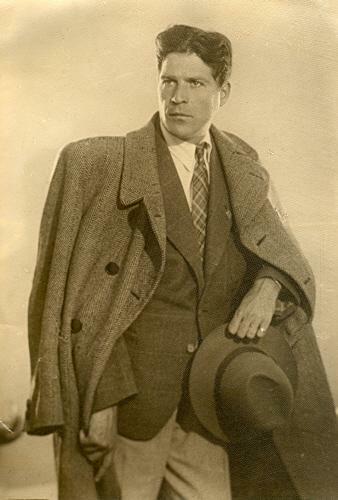 The encounter was described by Alekhine as ‘una partida de exhibición contra el campeón de Bolivia, Sánchez, en Bogotá, marzo de 1939’. There is no reason why a Bolivian should not play a game in Colombia, but verification of Sánchez’s identity is sought. 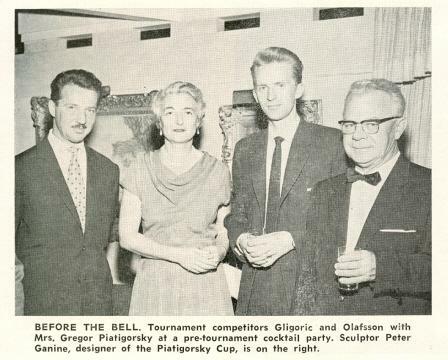 The above-mentioned item in the American Chess Bulletin described him as the ‘winner of the 1938 “Olympic” tournament at Bogotá’. Russell Miller (Camas, WA, USA) and W.D. 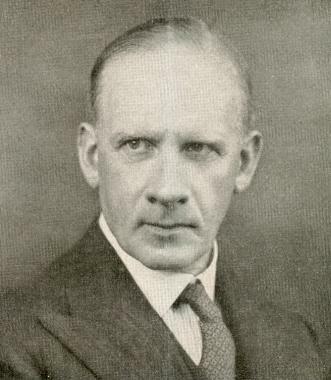 Rubinstein (Aberystwyth, Wales) have been examining on-line sources, and particularly the website ancestry.com, for information about Francis J. Wellmuth. There is a death record for a person named Frank J. Wellmuth: born on 27 January 1866 in Missouri and died on 29 December 1943 in California. 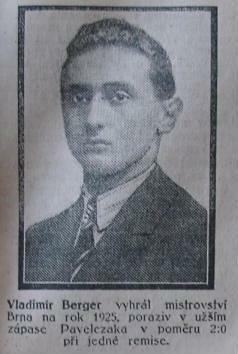 His mother’s surname was given as Ferney. The federal census of 1880 listed a Frank Welmouth (born circa 1866 in Missouri) who was attending school in Saint Joseph, Missouri and living with his mother, Celia Welmouth, a widow, and his siblings. 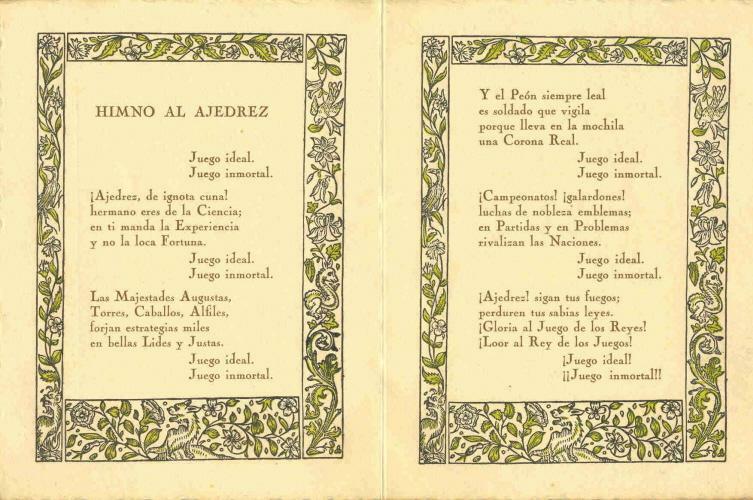 We do not have a copy of Jaque al olvido and shall be grateful to any reader who can help us to acquire one.